The Watergardens bungalows are cool, private and luxuriant, a perfect blend of local natural materials and Balinese craftsmanship, which give it a true Balinese look and feel.Set amongst lush tropical gardens, waterfalls, lily ponds with an abundance of Koi carp just waiting to be fed by you from your verandah.This is a perfect way to relax, be romantic and enjoy the tranquility of THE REAL BALI, once you have stayed here and enjoyed its magical feel, you'll find it hard to leave!! 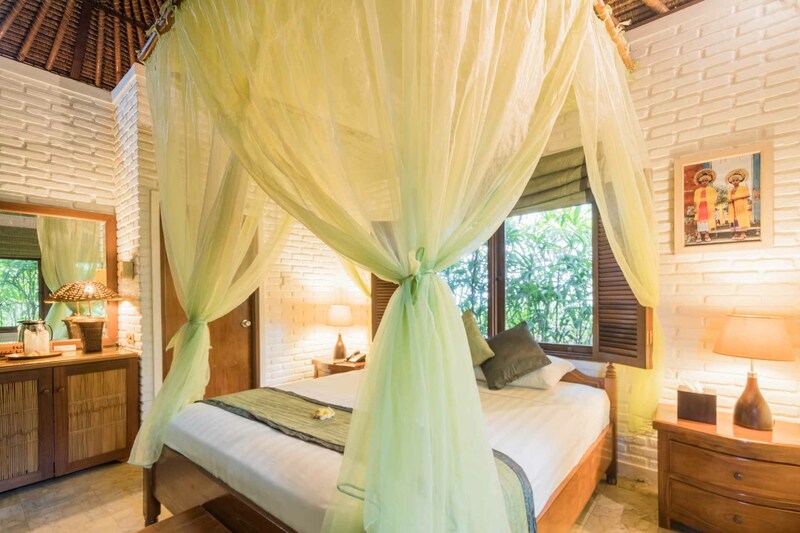 Discover one of Bali's best kept secrets - the unique Watergarden hotel in Candidasa, Karangasem, East Bali. 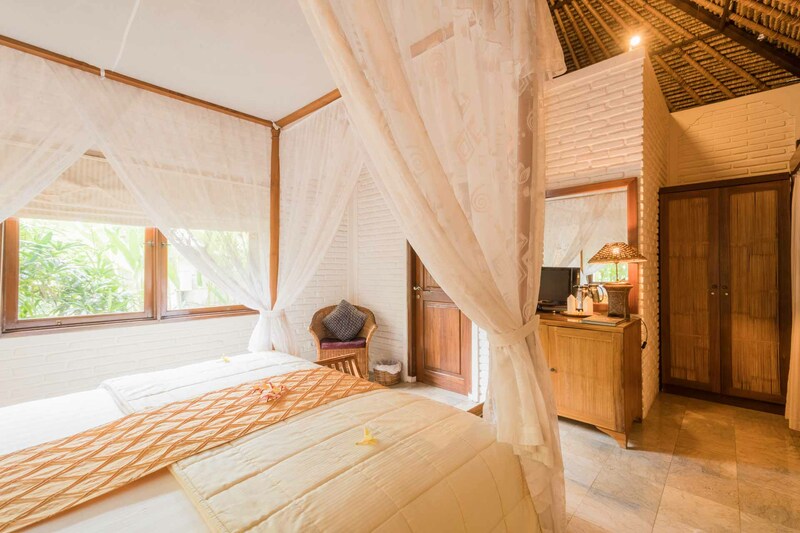 Follow narrow brick paths meandering through lush tropical gardens, over small streams, past waterfalls and lily ponds, to find your private bungalow nestled amongst the verdant growth.